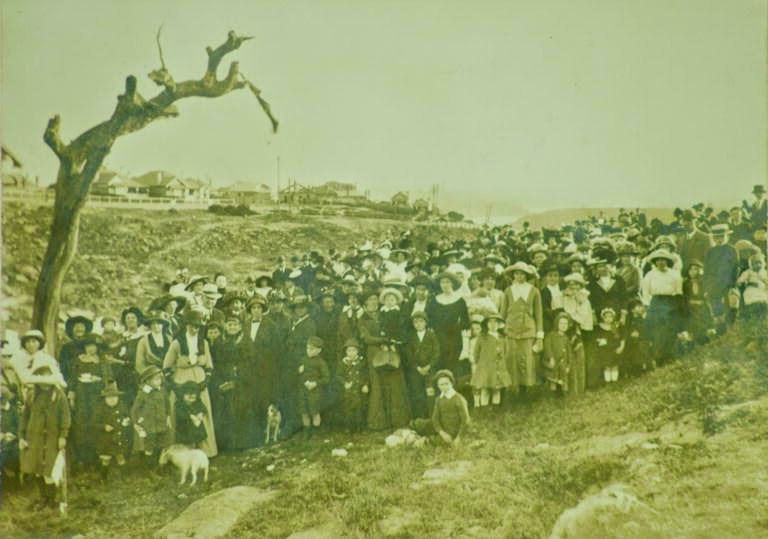 NORTH SYDNEY FAMILY HISTORY GROUP: WHERE DID THE SYDNEY SUBURB OF WAVERTON GET ITS NAME? 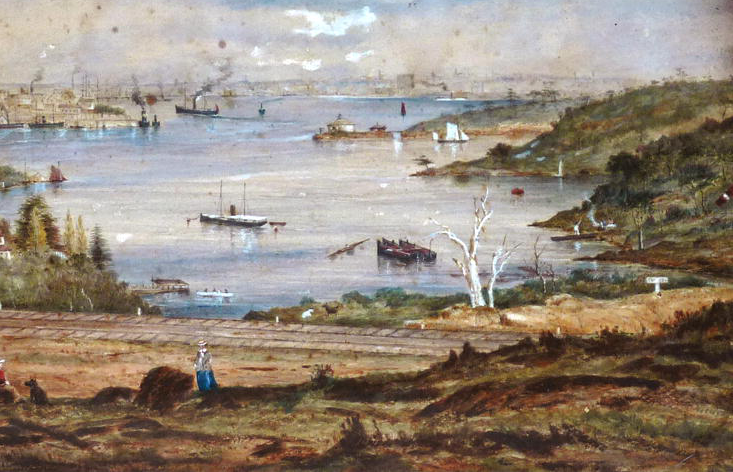 WHERE DID THE SYDNEY SUBURB OF WAVERTON GET ITS NAME? This was a question was received by local history staff at Stanton Library. It was pointed out to us that there are two places in England with this name, one in Cumbria and the other in Cheshire, and the one in Cheshire had a place named Crows Nest right near to it, similar to the Sydney suburb of Waverton which adjoins the suburb of Crows Nest. We had anecdotal evidence that our Waverton had been named after the Waverton in Cumbria, but we did not know for certain. At first glance you would not think that this historical question would be solved by looking at genealogical records. But once you know that the suburb Waverton was named after Waverton House, one of the first homes built in the area and you know that many house names came from the place of origin of its inhabitants then you know this is a good place to start looking. William and Charlotte Carr bought the estate which included Waverton House in 1849. The estate was originally owned by Joseph Henry Purser (1818-1848) who built the house in 1845. William and Charlotte Carr were probably the Mr & Mrs Carr who arrived on the ship ‘The Australian’ from London on 5 May 1840 with two children. They had two sons Mark and Henry. 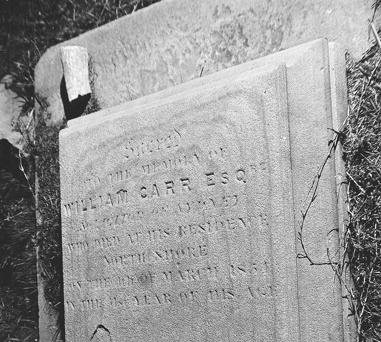 William Carr died in 1854 (aged 50) and was buried in nearby St Thomas Cemetery, North Sydney. 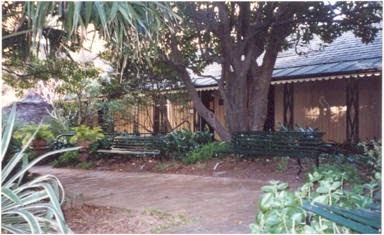 His widow Charlotte Carr was thought to have moved to St Leonards Cottage, 6 Napier St North Sydney (today’s Don Bank Museum) after her husband’s death. She returned to live in the UK around 1865. So where did they come from? I started the search by looking for where Charlotte died. In the English Probate Index there is a Charlotte Jefferson Carr who died on 16th September 1885 in St Andrews, Scotland. It says she lived at ‘St Leonards Cottage’ but there is no mention that this is a cottage in Australia, indeed there is a St Leonards parish close to where she lived in St Andrews, Scotland. This connects her with Sydney and William Carr. Looking at the benefactors in her Will, there were a few named Jefferson (Henry, Jane, Mary, Elizabeth). The Probate Index suggests her maiden name was Jefferson. In both her Will and the Probate Index her relatives with the surname Jefferson come from Springfield near Whitehaven. Looking at a current map of England Whitehaven is a small coastal town in present day Cumbria (formerly Cumberland). It is 44Km from the village named Waverton in Cumbria. There is a birth record for a Charlotte Jefferson who was born on 25 Feb 1806 (chr 7 Mar 1806) at Holy Trinity Church in Whitehaven as well as a marriage record of a Charlotte Jefferson marrying a William Carr in the same church on 1 May 1832. If this is the right person the dates look plausible. She was married when 26 yrs of age they left for Australia in 1840 with the two children they had in the previous years. According to the parish records of St Andrews in Scotland the Charlotte Jefferson Carr who died there in 1885 was 79 years of age when she died. She would therefore have been born in 1806 which is the right birth year. Looking at records for her husband William Carr, he died of dysentery in Sydney in 1854 aged 50 so he should have been born around 1804. Looking at the records for Holy Trinity Church in Whitehaven there was a William Carr born there on 13 May 1805 (chr 14 May 1805) whose parents were William and Mary Carr. Looking at William Carr’s headstone date this would mean that, if this was him, he would have died two months short of his 50th birthday. That is a close date but not exact. Possibly a mistake on his headstone. Although close these are still not direct references to the village of Waverton which is 44km from Whitehaven. Wm Carr batchr of this parish aged 24 and Mary Watson Spinster of this parish aged 25 by Banns in the Presence of John Peet & Mary Ismay (26 March 1798). Could that be William Carr’s parents who shortly afterwards moved to Whitehaven? Unfortunately the records of land ownership for Waverton are not available online or in any local library so we cannot be sure if the Carr family owned land there. Another possible connection with the Carr family and Waverton Cumberland was the small boarding school in that village called Waver House Academy (it had about 20 boys in 1841). William might have been a student there but there are no online lists of the school’s students from around 1820’s so this can’t be confirmed. There is a James Carr there in the 1841 census but no connection between him and William has been found. While the connection between the Carr’s and the village of Waverton is not totally clear, there is a definite link between the Carr’s and the county of Cumberland. The place of the Carr’s marriage and Mrs Carr’s birth, Whitehaven, being 44 km from Waverton, makes that village a more likely source for their house name in Sydney than Waverton in Cheshire. It’s always interesting to me that you can find answers to historical puzzles like this from looking at genealogical records. It’s not the first place you would think of looking but I’ve seen a lot of examples like this. I think a good understanding of family history research should be an essential skill for every local history librarian. An absorbing account. It helps me appreciate the work involved when genealogists and local history librarians access records that may be spread across the world and take considerable lateral thinking to navigate. Thanks marylouise, that's a lovely comment. was a solicitor) and their servant, Louisa Oyston, my GGG grandmother. William died in 1854 and a death notice in the Gentleman's Quarterly 1854 confirms his father and birthplace- Hexham. Louisa's marriage certificate to Conrad Schroder in Sydney lists William Carr as her employer. After William's death the Carrs returned to England and then Scotland. His son, Mark William died at sea in 1871 off the coast of Goa. I have not been able to confirm the death of Henry Jefferson Carr although some sources say he died in Scotland. As noted in your research Charlotte Jefferson Carr died in Scotland. Her family was from Whitehaven and were involved in the shipping and rum business. Louisa Oyston, my interest in this family, died in childbirth after the birth of her second son in 1847. Her first son was named John William Henry Mark Schroder- the William Henry Mark part presumably honored the Carr family. I have done significant research trying to locate her birthplace which was most likely near Hexham, but as of yet have no definitive place. According to the Dictionary of New South Wales, Waverton House was built by Joseph Purser in 1845 and then purchased by the Carrs in 1850. Is it possible that Mr. Purser was the Waverton connection? I am happy to share whatever research I have and I continue to be interested in the Carrs and their years in Australia. Thanks for your response KatyNick. This is more and more interesting. You have filled in some historical 'holes' and noted my mistake. It was incorrect to say that William Carr built Waverton House. Also the birth information of the William Carr, born in Hexham, you mention does fit with the 'age at death' written on his headstone in St Thomas' Cemetery. I will correct this blog article accordingly and do some research into Joseph Purser and Louisa Oyston who sounds like an interesting piece of the Carr family story. I will do another blog post with what I find. 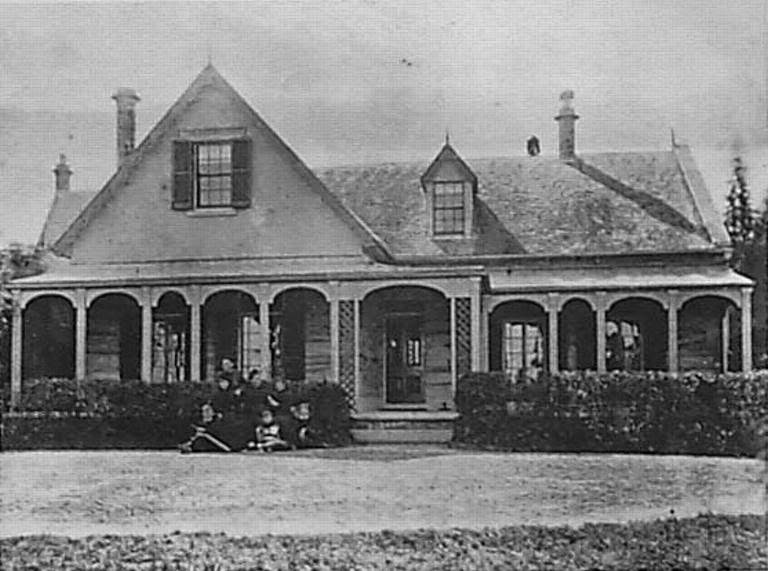 There is an interesting article in the North Shore Historical Society's Journal about Waverton House. You can access it online through the Stanton Library Heritage database for that journal if you are interested. It suggested that the original house name for Waverton House might have been 'Lindeville' but not much is known about that. Copyright © Eliot Ball 2014 All Rights Reserved.. Simple theme. Theme images by luoman. Powered by Blogger.